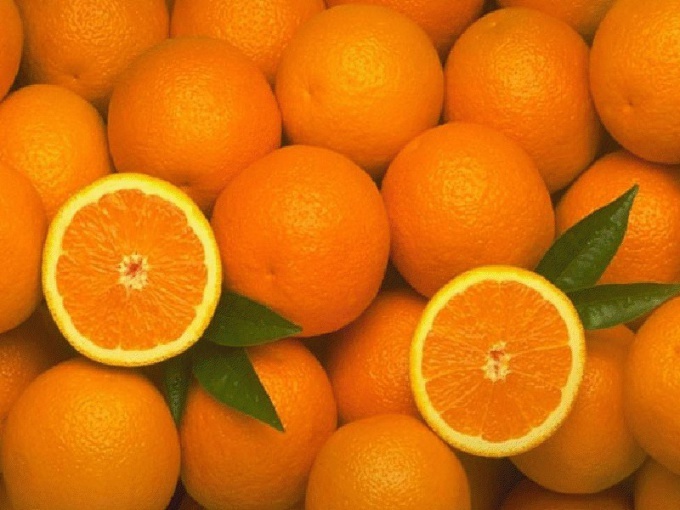 Oranges can be eaten alone, added to salads or to cook out the juice. And, you can cook a delicious compote. This idea is especially good if the fruit began to deteriorate. In addition, slightly faded fruit are usually sold cheaper, so purchase them in some ways even beneficial. Orange compote is preserved in the classical way. The main thing here is to properly handle the fruit, otherwise the drink can get quite bitter. But because you need to carefully clean the fruit from the membranes, films, seeds and bitter white rind. For the first draining syrup from the jar use the plastic lids with holes - so it will be safer and easier. - 200 g of honey. Remove the zest from the oranges with a sharp knife. Place it in a separate bowl. After that, peel the oranges from the membrane, fibres and layer of white skin. Slice the fruits in a convenient way. Fill a large pot with 4.5 l of water and bring to the boil. Add the sugar, stir until it is completely dissolved. When the sugar syrup is ready, add to the pan the orange peel and simmer for approximately 15 minutes. Hot syrup strain into a separate bowl through a sieve. In a clean sterilized banks, lay the peeled fruit oranges and pour the hot syrup. Boiled peel should be thrown out. When the oranges with syrup cook under covered lid for about 15 minutes, drain the syrup back into the pan. Put it on medium heat for about 10 minutes (counting from the moment of boiling). After this time add to the pan 200 g of honey. Boil for another 5 minutes, not forgetting to stir to completely dissolved. Then remove the pan from the heat. Re-pour the hot fruit syrup. Roll up. Flip the rolled jars, cover them with a warm blanket and leave to stand for a day. - 5-8 tablespoons of sugar. Pour over the peeled oranges and lemons with boiling water and rinse them thoroughly with cold water. Slice these fruits polukruzhochkami or slices. Remove seeds and place cut slices in the pan. Cover them with sugar and a little remember. Flip and remember, without compromising the integrity of orange slices. Wait until the water boils, during this time, slices of oranges to let the juice. Pour water into the pan with the slices and gently stir until the sugar is completely dissolved. Cover and let stand until cool. Before serving the drink can be strained. In a similar way you can cook a compote of oranges in a large thermos – so it's even better infusions. Before pouring the water preferably cool slightly (to 80° C). Leave the juice is not more than four hours, otherwise it will become very bitter.